Simeon was promised by God that he would not die until he had seen the Messiah. When Jesus was 40 days old, Mary and Joseph brought him to the temple. The Holy Spirit caused Simeon to recognize the Christ child. As Simeon held up the baby he said, "Now Thy servant can depart in peace for my eyes have seen the salvation of Israel." 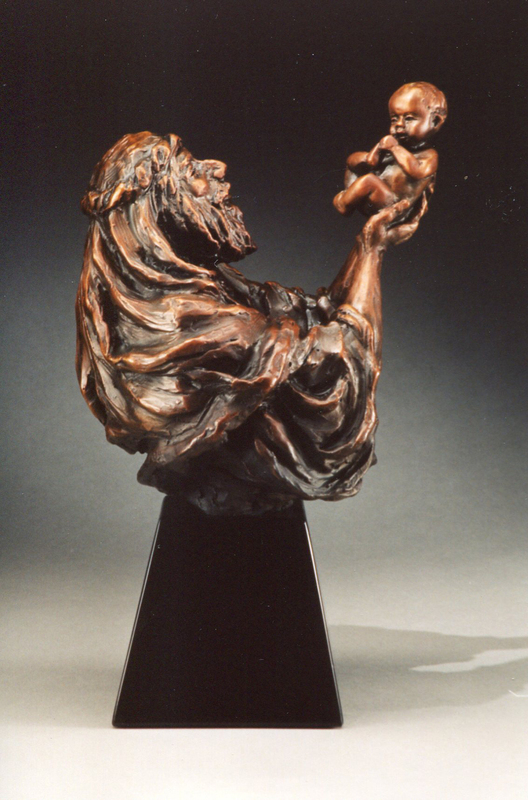 This piece could also represent another promise fulfilled: that of the birth of Isaac to Abraham. God is faithful to fulfill His promises.